The Government Publishing Office, rebounding from an unsuccessful contracting deal terminated last July, has awarded a $114.5 million Census printing job to Chicago-based R.R. Donnelley & Sons Co. 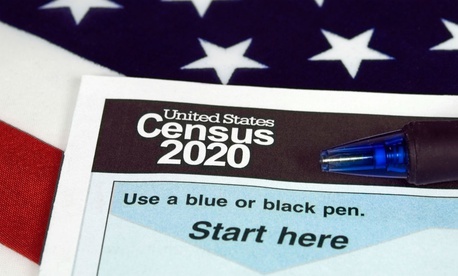 The contract to print questionnaires, letters, inserts, postcards and envelopes that will go out to prospective respondents to the 2020 Census is “well within the U.S. Census Bureau’s budget,” GPO said in a Tuesday release. The original $61 million award was made in November 2017 to the Stamford, Conn.-based Cenveo company, which soon after went bankrupt. GPO was found by its inspector general to have ill-advisedly awarded the contract, which was terminated following a settlement between the Justice Department and the contractor in July 2018. That faulty contract is among the array of ethics and mismanagement issues that the currently acting agency leaders and inspector general are grappling with. The agency—known until 2014 as the Government Printing Office—has a nationwide procurement program that awards nearly 75 percent of all printing by agencies to selected bidders among 10,000 private-sector firms, the agency said this week. The same day the Donnelley contract was announced, Jackson also announced appointment of a new acting inspector general to replace Melinda Miguel, who left on Jan. 6 to work for the state of Florida. Ives also spent 22 years at the Defense Department IG’s office, specializing in criminal and intelligence investigations as well as counter-terrorism.